Document archiving has become much more common practice within businesses looking at saving money whilst at the same time improving efficiency. Archiving documents can be done in any number of ways. There is the traditional storage method where documents are stored within cabinets, drawers and store rooms. However; this method can be messy, hard to get around and easy to get out of order. The month on month cost is exceptionally high. Retrieval costs, that many facilities will charge, are also high. There will be a waiting time for the documents, that you may need to see as soon as possible, which can be days. The final option is digital archiving. You’re probably thinking that it’s easy for us to say that digitally archiving your documents is the best method but there’s a very good reason we work in this particular field; because it’s the best option all around. We have previously explored document scanning vs document storage in past articles. Digital document archiving is not just the best way of archiving your documents for the time being, it’s also very much future-proof. Having your documents accessible at any time through the digital archives on your computer system is vital to any modern business, as are the costs that you’ll save through not having to store documents or pay the ridiculous retrieval fees for your own files. 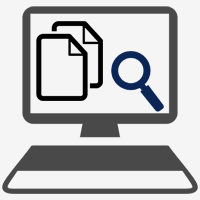 In researching the costs of document retrieval, we found prices ranging from between £12-20 per file, so let’s say an average of £16 per file. Digital document archiving is the most cost-effective solution to document archiving as documents can be scanned from as little as a penny per sheet. On top of this, office efficiency improves thanks to being able to access the files quicker with better flexibility and it is also space saving if you decide to dispose of the original paper-based files. I you would like some more information about the document storage solutions we offer here at Pearl Scan, get in touch today or visit our website. For a free, no obligation quote for your scanning project, complete our online form by following the relevant links below.